Tag Archives for " multi-author blog "
I’ve seen and heard this scenario countless times. Two perfectly suited strategic partners determine they should start doing some things together in an effort to create referral opportunities for each other. They shake hands and agree that it’s a fabulous idea, but then nothing happens. Mostly nothing happens because there’s no catalyst to get the ball rolling in a way that makes sense. I mean, sure, they could both send out a mass mailing to their clients professing how great the other is, but would that really offer much value to the recipients? One of the best ways to get a referral relationship moving is through content opportunities. It’s just such a logical way to extend what is already a proven marketing practice. Let’s say you’re an attorney that works with small business owners. In your work you’ve seen that small business owners need accounting advice, hiring advice, management advice, marketing advice, real estate advice, outsourcing advice, selling advice, leadership advice, and the list goes on and on. Well, what if you built a team of best of class advice providers for many of the items listed above and you created and hosted a blog that featured contributions from each of these providers. With any commitment at all your team could produce a local, keyword rich, content asset that would turn into a valuable resource for your clients and prospects and a logical referral generator for every member of the contributing team. Of course, this could just be the start of your formal partnership team as you could easily turn this into group sponsored workshops and online seminars as well. Are you starting to see the power behind being the one that formalizes the network? I hope it goes without saying that the content must be educational and valuable. This effort will offer little if it’s just an ad for all parties. Give great advice openly, use local keywords and phrases and create a consistent flow of new content and this tool will allow you to dominate local search results. Creating a multi-author WordPress blog isn’t any more difficult that creating a single author blog, but there are a few considerations when it comes to promoting, managing and securing your platform that can be handled with the addition of the following plugins. WP Biographia – This is great plugin because it adds all kinds of extra fields like social links to the user profile screen and creates a bio for each author. This way when your authors post content their bio automatically shows at the end of each of their posts and features links to their social profiles making it easy for people to connect. 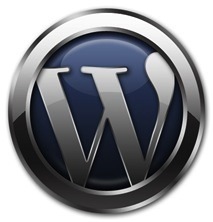 WordPress does not by default allow users to upload photos so add the User Photo plugin too and then Biographia will add your contributor’s photo. User Role Editor – WordPress defines what set roles like subscribe or contributor can do (See a list) but sometimes you may want to edit these a bit. For example an author can’t by default upload images. If you have a trusted group of authors creating content and you want them to add images to their posts, which is usually a good thing, then use the editor to grant that permission. Adminimize – This is a pretty cool tool as it lets you strip away everything you want from the admin dashboard. You might want to hide a bunch of stuff you as the admin don’t really use, but you certainly want to take away most of what your contributors see as well. Some things are naturally hidden based on WordPress default roles, but you can really make a clean posting screen for your contributors by taking away everything you know they don’t need access to. Every business knows they need to produce great content. By facilitating the creation of this content in a way that can benefit your clients, prospects and referral partners, you can create a platform that will start to attract more of all of the above.